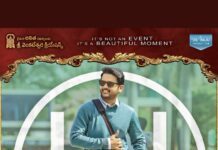 The makers Released Fidaa Telugu Full Movie Online officially on the internet and it has opened to fantastic response as it garnered over six lakh views already on YouTube. The Fidaa full Telugu movie was released on the official YouTube channel of Aditya Movies on May 5. The Fidaa film has received 607,157 views, 7,500 likes and 427 dislikes and 578 comments in less than two days. These are numbers for a film starring young actors like Varun Tej. The Fidaa is a romantic film starring Varun Tej and Sai Pallavi. Written and directed by Shekhar Kammula, the movie is about an NRI medical student Varun Tej, who falls in love with a vivacious Bhanu. Both spend some time to understand each other, but their personal differences create complications. What happens next forms the rest of the story. Fidaa has been produced by Dil Raju, Shirish, and Harshith Reddy under the banner Sri Venkateswara Creations. Shakthikanth Karthick has scored the music while JB composed background score. Fidaa Released in cinema halls across the globe on 21 July 2017, the movie has collected nearly Rs 100 crore at the worldwide box office in its lifetime.